A new offering from Tesla Motors of a $850 million package of common stock and convertible senior notes will be used to completely prefund payoff of the Dept. of Energy loans, as well as general corporate purposes. On Wednesday, Tesla Motors (TSLA) announced a stock offering of 2,703,027 shares of common stock and $450 million aggregate principal amount of convertible senior notes due 2018. The proceeds should total to $830 million, and the company is planning to use this to completely pre-pay the Dept. of Energy loans, pay the cost of convertible note hedge transactions and for general corporate purposes. Tesla CEO Elon Musk will directly participate in the offering, by buying $100 million more worth of common shares. Of that, $45 million will be purchased in the public offering, and another $55 million will be purchased in a subsequent private offering. 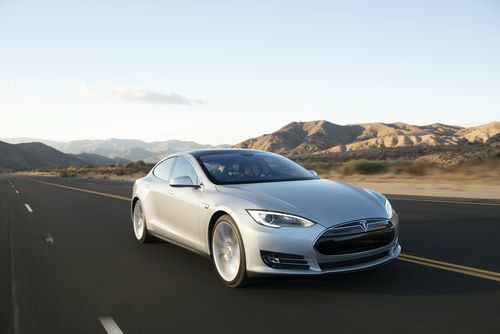 On May 14, 2013, the day before announcing this offering, Tesla Motors and the Dept. of Energy signed an Ammendment to the Limited Consent and Amendment (the “Amendment”) to the Loan Arrangement and Reimbursement Agreement between Tesla and the Dept. That amendment allows the Company to issue convertible senior notes to fund the early repayment of the DOE loan. The senior notes will be convertible into cash and, if applicable, shares of Tesla’s common stock. By ensuring that Tesla has prepaid the Dept. of Energy loans (under the ATVM program) the company will avoid an issue which arises on December 15, 2018. Namely, Telsa has issued the DoE a convertible warrant to purchase up to 3,085,011 shares of our common stock, at an exercise price of $7.54 per share, and a warrant to purchase up to 5,100 shares of our common stock, at an exercise price of $8.94 per share. That warrant becomes exercisable on Dec. 15, 2018. In March, when Tesla pledged to repay the Dept of Energy loans early, it was for the same purpose, avoiding the condition where the Dept. can exercise the above named warrant. As of the end of Q1 2013, the company had well over $200 million in cash on hand. That same quarter the company turned its first profit in the 10+ years of its existence, due to over $560 million in revenue thanks to having brought sales of the Tesla Model S to the rate of around 21,000 cars per year. Tesla's stock price has shot way up since we last looked at it in late April, from the neighborhood of $40/share to over $90/share this week. At that time the company had just announced it expected to show a profit in Q1, as well as the new lease-like financing program. More recently, Consumer Reports' review of the Tesla Model S awarded the car 99 points, a total the magazine has awarded only once before for a Lexus SUV. A huge rally in Tesla's price began on May 8, the day the company released its Q1 2013 results, and the day after they announced hiring a senior engineer from Aston Martin. TSLA's stock price closed at $84.842 on May 15. In overnight after hours trading, the stock price has gone over $92 for a 8.5% gain.